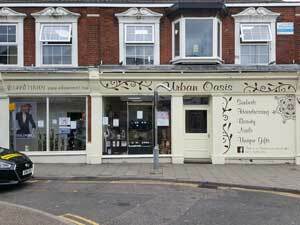 Urban Oasis in Gorleston-on-Sea near Great Yarmouth, is a one stop shop for all your beauty need including hairdressing, nails, beauty, sunbeds and unique gifts. From Great Yarmouth follow signs for Gorleston-on-Sea. Urban Oasis is located towards the end of the main High Street, just prior to the traffic lights/crossroads.